You must be a member of the Budapest Activities & Golf Group to attend this activity. Would you like to join this group? Join us for a competitive game of Table Tennis in a professional environment. The facility provides changing rooms and showers. Drinks are sold in the Club. Sportswear is highly recommendable as you will sweat a lot. Indoor Sport shoes are mandatory. The playing level is best described as intermediate to advanced. You should be able to apply and adapt to most spin variations and have a solid ball placement. 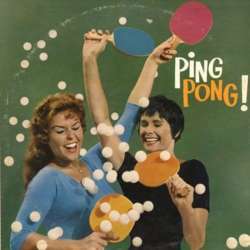 Feel free to join us for drinks & food in a nice bar after ping-pong.. The closest Protected content about a 5 Minute walk. Please be kind and cancel in time if you signed up and can't make it. Not only because we need to let the Club know how many tables should be reserved, but also in fairness to the other participants. Coming for the first time? The place is a bit tricky to find. Protected content . There is usually plenty of parking close by. Currently, we are not allowed to park in the courtyard.